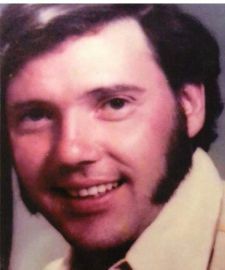 Franklin "Frankie" Edward DeHart, 71, of 1498 Lincoln Street in Eden, passed away Sunday, September 9, 2018, at his home. A funeral service will be held at 2pm on Monday, September 17, 2018 at Fair Funeral Home Chapel and burial to follow in Overlook Cemetery. The family will receive friends Sunday evening from 6 – 8 PM at Fair Funeral Home. Frankie was born February 10, 1947 in Rockingham County, NC, to the late John Gates DeHart and Faye Burgart DeHart. He was a US Army veteran and a retired welder. He loved to fish, ski, and collecting hats, but most of all he loved spending time with his family. He is survived by his two daughters, Lisa Allison Brammer and husband, Christopher and children, Joshua and Jeremy White, of Stoneville and Tanya Burgess and husband, Brad and children, Brooke and Bradley, of Eden; his sister, Dora Ann Atha of Eden; and numerous nieces and nephews. In addition to his parents, he was preceded in death by three brothers, Joseph, Earl and Bob DeHart.